R3-POWERUP is committed to challenge several objectives. The development and demonstration of a brand new 300mm advanced manufacturing facility addressing a multi-KET Pilot Line (i.e. Nanoelectronics, Nanotech, Adv. Manufacturing). The Pilot Line will build on Digital Factory and Industry 4.0 principles, enforcing a flexible, adaptive and reliable facility that will push forward the state of the art of nanoelectronics manufacturing in Europe. It will push a major improvement in productivity and competitiveness for integrated IC solutions for smart power and power discretes technologies. The application of such technologies will be a breakthrough enabler for Energy Efficiency and CO2Reduction worldwide, in line with COP21’s resolution. The project will address new Silicon process development innovative Equipment development new Packaging, including power and System-in-Package considerations and industry 4.0 and big-data analytics for Smart Manufacturing concepts. The DISC project aims to develop key technologies for the next generation of high-performance photovoltaic (PV) solar cells and modules, allowing ultra-low solar electricity costs with minimum environmental impact. Technologically, the approach of the DISC project combines today’s simple, non-patterned device architecture for double-side contacted Si solar cells with innovative carrier selective contacts. DISC will target efficiencies >25.5% on large area cell and >22% at module level while demonstrating pilot manufacturing readiness at competitive costs. By these means, DISC will provide the key elements to achieve a very low Levelized Costs of Electricity in Europe between 3.7-6.4 €ct/kWh (depending on the irradiation), with mid-term potential for further reductions. This can make solar one of the cheapest electricity sources available. Lab4MEMS II focuses on Micro-Opto-Electro-Mechanical Systems (MOEMS) that merge MEMS with Micro-optics to sense or manipulate optical signals using integrated mechanical, optical, and electrical systems, while the original project maintains its emphasis on developing a pilot line for next-generation MEMS devices augmented with such advanced technologies as piezoelectric or magnetic materials and 3D packaging. PowerBase, an ECSEL project with 39 partners from 9 European countries, enables growth potential and strategic independence for Europe´s semiconductor industry in the face of increased globalization. ATHENIS_3D is an FP7/European funded project, where eleven partners from five different countries develop a new technology platform for automotive electronics. With this innovative IC platform electronic engineers will be able to integrate more functionality on a single chip for lower costs. This is possible through a new technology which enables further integration of advanced More than Moore devices and More Moore devices (90nm and 14nm CMOS) with Through Silicon Vias (TSV) and Wafer Level Packaging (WLP) for harshest automotive conditions including temperatures up to 200C and voltages up to 200V. Cost savings from integration and a 5x reduction of PCB area will be shown. R2POWER300 is committed to challenge the development and manufacturing of a multi-KET Pilot Line (i.e. Nanoelectronics, Nanotechnology, Advanced Manufacturing and Energy Efficiency and CO2 Reduction megatrends. In the InForMed project an integrated pilot line for medical devices is established, covering the complete innovation chain from technology concept to system qualification. It includes micro-fabrication, assembly and even the fabrication of smart catheters. Uniquely, the integrated pilot line is hosted by a large industrial end-user, and is specifically targeted and equipped to bridge the gap in the landscape of micro-fabrication of medical devices between concept creation and full-scale production. EAST (smart Everything everywhere Access to content through Small cells Technologies) develops enablers for 5G Small cells mobile networks up to 6 GHz. Key targets are enhanced data rates (video bandwidths > 100MHz), higher integration (10x to 100x size reduction), higher functionality (MIMO) and reconfigurability (multiple-transmit bands). Major steps have to be taken at the system/design level (novel transmitter architectures) and at the technology level (new silicon processes and packaging solutions). The outcome of this project will position Europe as a technology leader in the upcoming 5G market. 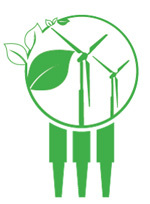 Energy efficiency and sustainability are major concerns in society today. The lighting industry is going through a radical transformation driven by rapid progress in LED lighting, semiconductor technology, and the need for sustainable and energy-efficient solutions. The EnLight project delivers new technology and applications that inspire and enable designers in ways far beyond conventional lighting.